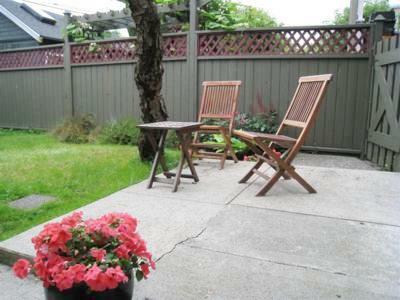 This charming 3 bedroom home is in a lovely safe and quiet family neighbourhood on the Westside of Vancouver, it is an easy walk to shops, restaurants and transit to Olympic venues. 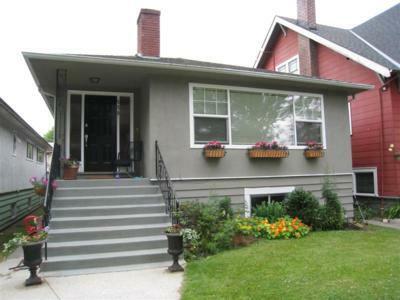 In fact you can't get a house much closer to downtown Vancouver. 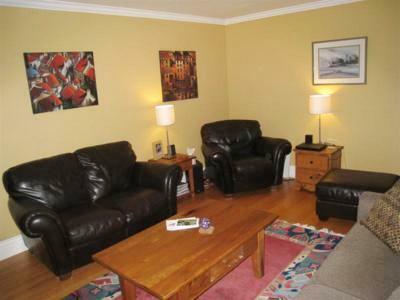 This property offers you comfort, convenience and character, it is new to the market on 16 September. Be quick. With road closures and diversions during the Olympics, driving is going to be difficult at times. So being able to access Olympic venues, shopping, restaurants, nightlife and recreation by foot, transit or bike is of great benefit. 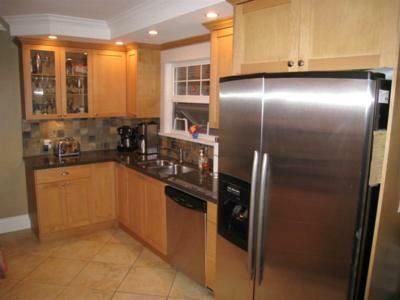 This lovely home provides the solution venues are easily accessed as follows. To YVR Vancouver international airport it is a 1 min walk to bus #33, then 5 min ride to King Edward station, change to Canada Line train then 17 min ride to YVR. To Curling - Vancouver Olympic Centre it is a 1 min walk to bus #33 then 8 min ride. Hockey - UBC Thunderbird Arena is a 1 min walk to bus #33 then 26 min ride. Canada Hockey Place is a 1 min walk to #33 then 5 min ride to King Edward station then change to Canada Line train then 4 min ride to Yaletown/Roundhouse Station then walk 7 minutes or walk from home 25 minutes or 5 minutes walk to Cambie then #15 bus which takes you 7 minutes. Speed skating - Richmond Oval is a 1 min walk to #33 then 5 min ride to King Edward station then change to Canada Line train then 14 min ride to Aberdeen Station. To join the opening & closing ceremonies and medal celebrations it is a 1 min walk to #33 then 5 min ride to King Edward station then change to Canada Line train then 4 min ride to Yaletown/Roundhouse Station then walk 6 minutes or walk from home 25 minute or 5 minute walk to Cambie then #15 bus 7 minutes as well. Figure skating and short track speed skating at the Pacific Coliseum can be accessed by a 5 minute walk to #15 downtown bus then 15 minute ride to West Pender Street at Richards Street, then change to #135 SFU bus then 17 minutes to Pacific Coliseum. Shopping, restaurants, Pubs - take your pick from Cambie Street, Oak Street or City Square all just 5 minutes walk, or 10 minutes walk down to West Broadway. Just a 30 second walk to a coffee shop & sushi restaurant. 2 minutes to a corner store. Check out Stellas for a meal or a drink, it is a 5 min walk. 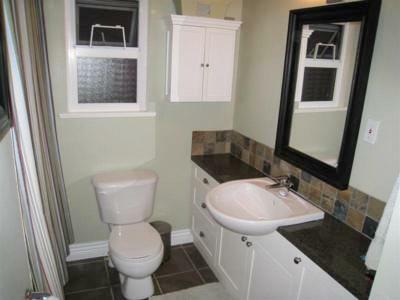 Renovated in 2005 with new kitchen, new bathroom, new paint and furnishings this 3 bedroom 2 living area home is 1400 square feet or 130 square metres on one level plus laundry down in the basement. 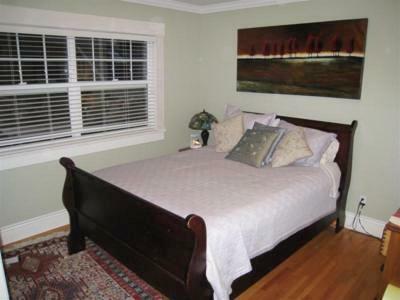 1 queen sized bed in master bedroom and a double bed in each of the other 2 bedrooms. 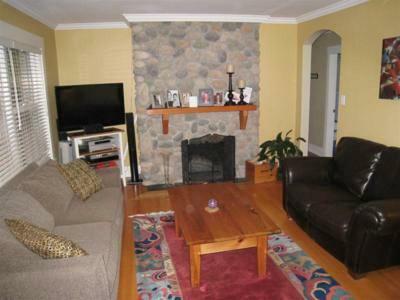 The living room boasts polished hardwood floors a Whistler-style wood burning fireplace, leather furniture comfortably seating 7, including a queen fold-out couch-bed. 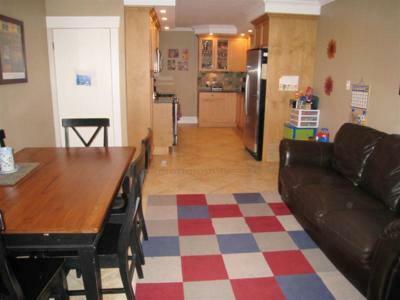 The fully equipped kitchen is open to the dining/family room with another 3 seater leather couch. 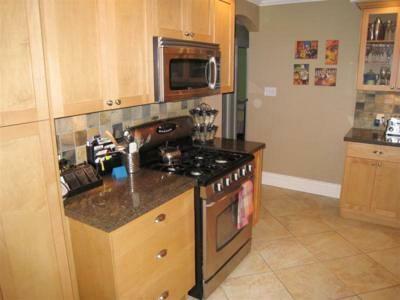 Floors are polished oak and tile. 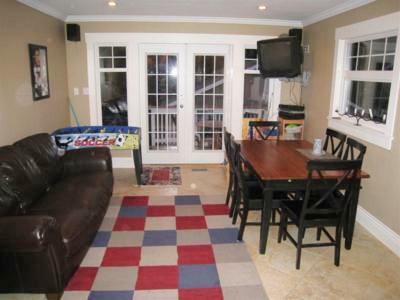 Outside is a BBQ and deck, private gardens and garage parking for 1 car. Bikes could be made available for your convenience.